Sounds like: Christian + Rock - Direct reference to "Him"
Execution: Considering David Cook never even intended to audition for “American Idol,” we had a hard time believing this was him living out that “big dream.” Him eyeing those big dollar signs in his future, maybe, but he was more or less just going through the motions. Execution: David Archuleta’s voice/singing style was more fitting for this type of crappolla inspirational song. Whether he chose the tune for its egotistical lyrics is debatable, though we can bet poppa Archy was pompously grinning ear to ear somewhere off the set. Verdict: We’re giving this to David Cook out of pity voting. We went into the finale not swinging one way or the other, since both Davids have repeatedly rubbed us wrong all season, but once the judges got up on their David Archuleta-rulez-all high horse, we saw a Cook’s ego deflate (slightly) and realized that at the end of the day, meaning, once both finalists release debut albums, Cook’s gonna be riding the record sales and VH1-approved wave far longer than the teen prodigy Archuleta. Tonight – DAVID WINS!!! D'oh! Those still depressed over the state of the music industry should go see the Black Keys. Akron's finest will make you forget about those rampant "American Idol" conspiracies and the latest round of major-label layoffs. They have an infectious energy these days, one that's hard to rival. Go see the Black Keys. 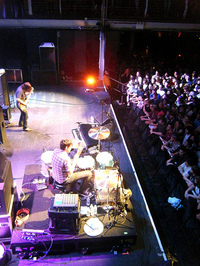 They popped by New York's Terminal 5 last night (May 15), giving 3,000 people a shot in the arm. In more ways than one, they're a revivalist band to the core. They've mastered blues rock with a twist, inserting spacey noodles during "I Got Mine," while slowing things down to a crowd-quieting hush during "You're the One." Early on, they exploded out of the gate with the poppy "10 A.M. Automatic," the hard-hitting "Set You Free" and the raw stomper "Thickfreakness." Frontman Dan Auerbach, his Ohio family looking on, channeled Hendrix on his six-string, while drummer Patrick Carney, hunched over his kit, bashed away as if his very life depended on it. It was all a potent reminder that once upon a time, knowing how to manipulate guitar and drums was what rock bands were made of. Tears shed during hometown visits (which we were pleased to see more of): Hard to say. Mostly because David Archuleta did not. Stop. Crying. Times David Archuleta said "gosh" during his trip home: Incalculable, as we lost count around 34, and that's only what they showed on-air. Tears shed by Syesha after the cut: 0. Cause, like, duhhh. Maybe the producers shoulda let poppa Archuleta stick around for the remainder of the season, as last night David Archuleta chose to sing, erm, Chris Brown’s “With You” for the annual hit-or-miss judges/contestants/producers pick night. The bordering-on-toppling-over swaying! The “boo” reference! Dude’s a Mormon from Utah. The only thing that sheltered child has in common with Chris Brown is age. David Cook was as predictable as we predicted he’d be, pulling out all the requisite hard-core stops for apparently his favorite non-Our Lady Peace band Switchfoot and, yes, Aerosmith. Syesha sang a song about penguins! And it kinda sucked! Which is unfortunate, cause she needed a big night to make it through to the final round. Prohaps bringing in a live tap-dancing penguin or, hey, even another Robin Williams appearance would have helped her out. So looks like the Davids’ll be duking it out come finale time, though it'd be nice to see Syesha in there. What can we say, America’s a sucker for big-headed gimmicks and youthful innocence. Meanwhile, what was with the town visits getting cut short? Where were the Wal-Mart parking lot trips? The keys to the city? All we got was a handlebar mustache and several iPhone shots. Bo-ring. Billboard was saddened to learn today that LonPaul Ellrich, a longtime heavyweight of the music scenes in Bloomington, Ind., and Indianapolis, passed away on May 7. Ellrich is the second major scene figure to pass away in recent months, following Evan Farrell last December. Services will be held tomorrow (May 14) in Indianapolis. An online tribute is underway on MusicalFamilyTree.com, a hub for past and present bands from the Indiana scene. A PayPal fund has also been established for Ellrich's son Rupert. Ellrich played or worked on projects from an array of Indiana acts, including Sardina, the Mysteries Of Life, the United States Three (he was particularly close with that band's Vess Ruhtenberg), June Panic, Some Girls, Jorma Whitaker, the Panoply Academy and the Impossible Shapes. But he's probably best known for his work in Marmoset, one of the more beloved bands on (and one of the earliest signees to) Bloomington label Secretly Canadian. The group's most recent album, "Florist Fired," was released last year. On a personal note, Ellrich worked behind-the-scenes on an album by the Bloomington band Uvula, which was released early in the decade on a short-lived label I ran with two other IU alums. I only met him a handful of times during the album's genesis, but he was always a voice of reason when corresponding with my partners and I by phone and email. After all, we had no idea what the hell we were doing, and he was kind enough to help us through the rough spots. 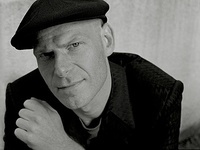 Ellrich was also about to begin producing recordings by two dear friends of mine, Mitch Harris and Erica Siegel. "As sad as I am that this will not happen, I am grateful to have had a glimpse of his wonderful insight," Mitch wrote on Musical Family Tree. We continue our My Top 8 series with Florida's own Riskay. By now, you've seen it, and likely quoted it and wonder if it works. That's right folks, Riskay's "Smell Yo D*ck." The video has been making heavy rounds on YouTube, Perez Hilton (who has posted a video of himself singing the song) and your little cousin's Bebo profile page. It's a cheating song, plain and simple, and a gross one at that. Riskay make no qualms confronting her lover on his wrongs, and her method of revealing his indiscretions is disquieting at the least, hilarious at best. The Drama Queen checked in with Billboard to tell us who is in her top 8 on MySpace. 1) Steven Wesley - This is my 1st cousin, who is a football player for the University of Miami. I'm very proud of him for getting a full scholarship to attend college so I added him as #1 in my friend's list. 2) Real - He's my label mate on I-4 Trackblazers label and he also raps on my song, "Smell Yo D*ck." 3) Lil Chaney Bee - This is my lil cousin, and is now on l I-4 Trackblazers with me. He raps on my song "Krispy Kreme." 4) Bigg Baby - He's the CEO of I-4 Trackblazers and a longtime friend of mine. He was the one who gave me my chance to shine. Continue reading "My Top 8: Riskay"
Oh Jason Castro, I gotta say, you will be missed. Even if you remind everyone of the guy they wish they hadn't dated in college. Stoner geniality takes you a long way on this show - especially when you confess to Ryan Seacrest in the middle of your booting that someone described your Tuesday night performance as "I Shot The Tambourine Man" - and I certainly hope it gives you a career playing beach bars on both coasts for the next 20 years. But on to the critical matter of the show - the American Idol/Ford ad. What the hell? The remaining four dressed up as neon-bedazzled matadors and, like, tried to kill a car or something to the tune of Johnny Cash's "Ring of Fire." Surprisingly, the look was least flattering on Syesha, in that they made her up to look like the devil's hybrid of one of the En Vogue ladies from the "Free Your Mind" video and a character from a Pedro Almodovar movie. However, if the chatter about Castro maybe possibly tanking his two performances is true...then by God, this was the ad that drove him to it. Watch it here. Between posing for creepy pictures with her father and being a tween pop sensation it seems that Miley Cyrus has been participating in You Tube dance battles. Jaded Insider wants you to take a moment to let that concept sink in. YouTube. Dance. Battle. Continue reading "Dancing in the Internets"
Yes, there are sites that offer spoilers on "American Idol" performance days as to what songs each of the contestants are going to perform. And when JI read yesterday that Jason Castro was going to do the one-two punch of "I Shot The Sheriff" and "Mr. Tambourine Man" - JI knew that we were in for something special. Castro got the dreadlocks appropriately swinging in homage to Bob Marley, but really...it was just awful. Simon always yammers that certain songs shouldn't be redone because it's impossible for a singer to sound more than a pitiful interpretation of the original - and while usually I think he's just being petty, the critique is dead on here. Maybe, maybe he could have done something a little different with the melody to "Redemption Song" and gotten away with it - but "Sheriff" is just too iconic. So, yeah, that's it for Jason. Kinda sad, actually, since he was relentlessly stoner charming in the video segments. ("Bob Marley!!!!!?!") Whoooah. This week we continue our My Top 8 series with Flobots. Prior into delving into the Boulder, Colo., band's MySpace Top 8, we first reference the "Influences" section of the site. Few other bands can namecheck the Roots, Bach and Tool in one breath, but if anybody is allowed, this patchwork troupe is. 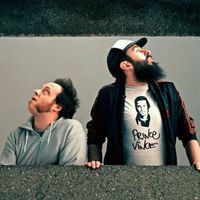 They have the beats, a string section, and a hard-rock bent that appeals to a wide enough berth of people to put them onto our Heatseekers chart with their newest "Fight With Tools" (Universal Republic), peaking at No. 12 thus far. The band also rolled out their video premiere for the track "Handlebars" at the URepublic Web site this week. Lovable and talented. Also they bought a trailor and vlogged about when it broke on the highway. Continue reading "My Top 8: Flobots"
Farewell Brooke! You may have come increasingly unhinged during the past few "American Idol" weeks, but I'd totally let you babysit any future Jaded Insider kidlets to give them the, errr, opposite perspective on life. I must say, however, that while the call-in portion is generally loathsome, it was a nice change to see Simon embarrassed when his childhood sweetheart called in to needle him about snogging her in his parent's garden decades (yeah, I said decades, Simon) ago. Even better was his snappy comeback: "Are you still cute?" Funny how the entertaining aspects of AI this year have less and less to do with the singers. J.I. 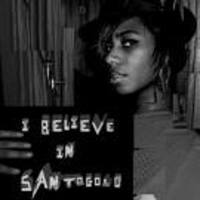 would now like to indulge in some NME-style hyperbole – Santogold is just the greatest thing ever. She’s smart, she’s adorable, and her record is an exercise in how to do genre-hopping right. The album, which was released yesterday, has been in constant repeat on our iPod, and even though we’re seen her twice before already, we were squirming in our seats waiting for her show at New York’s Virgin Megastore yesterday. At this point, the audience was pretty much eating out of her hand. Santogold is cute as all hell, and behind all the giggles and little girl voice, she’s smart and tough and a seasoned music business vet and songwriter. J.I. was excited to see her in the latest issue of Teen Vogue; after years of ditzy teenagers, she’s the cool older sister young women need. After “Anne” and “You’ll Find A Way,” and J.I.’s favorite, “Unstoppable,” Santogold stopped to thank the audience. She got all choked up, saying she’d had a rough week (rumor has it that she lost a close friend in a car accident last week) and that she couldn’t believe the day of her record release was finally here. She closed the show with “Creator,” her theme song. She truly is a creator, thrilling in making it up, and what she’s doing is putting her on a lot of radars. This morning Jaded Insider tried to recall if there were any episodes in “Idol” seasons past that amounted to a bigger train wreck than the chaos that was Neil Diamond night. Aside from the few shocker elimination episodes (Tamyra Gray from Season 1 instantly came to mind), we got nothin’. Last night was a mess. Period. To sum it up, it was a whirlwind of cram-absolutely-everything-imaginable-into-60-minutes episode featuring a perverse order of two-song singing/judging and Paula Abdul at her peak of bizarre-o. We’re still struggling with who did what and how they did and what the hell plastic/pleather logo thing was on David Cook’s jacket, but for what it’s worth, we look for Brooke (who wrote lyrics on her hand) or Syesha to get canned. Meanwhile, this little news item was a bigger distraction for us yesterday than anything that went down on last night’s actual episode. A pillow case? Seriously? This week we continue our My Top 8 series on Scottish rock troupe Frightened Rabbit, who are far fiercer than their grossly timid name suggests. On April 15, Fat Cat released the digital-only version of the band's "Midnight Organ Fight" in the U.S.; yesterday (April 29), it hit the shelves. The set itself is a crumbling, raw collection of songs on hissing heartache, a mix of punk, pop, rock and folk that explodes feral emotion without regard to delicate language or sensibility. It's beautiful and often angry, with a rhythm section as precise as it is loud and a double-guitar attack to knock your ex straight off of his/her pedestal. Opening track "Modern Leper" is worthy of a few hundred listens on its own. Verse, chorus, chorus revamp, instrumental breakdown... the major chords dropping to the minor... the crescendo... the aftermath. It's like "Mr. Brightside" with less-tended facial hair. Lead singer/guitarist Scott Hutchison delivers his epic brogue with words that skipped the whole pen-to-paper bit -- its like a very clever stream of consciousness, all the stuff you wish you'd said at the time of the break but were too tired/dumbstruck/drunk/sad to sputter. Lucky us, the quartet is performing in the U.S. again starting May 24 and will also be supporting the excellent French Kicks for quite a few dates. Hutchison took time out to tell us about the band's Top 8 on Myspace. FatCat Records - These ladies and gentlemen helped us to make our second record and for that they can call themselves our bestest friends. The Twilight Sad - Our favourite band on the planet, now and until the end of time. They are of course a set of absolute cocksuckers. You can't have everything. 30 Milkshakes - This guy and gal management machine are knocking on doors all over the USA canvassing for the election of Frightened Rabbit as presidents of charming indie rock. YES they wear rosettes and YES they kiss babies and tiny dogs, but this has nothing to do with us. We Were Promised Jetpacks - The best new band in Scotland (and therefore the UK) right now. They are taking a break because their drummer went to Germany to study flowers and bricks, but they will be back to melt face in the summer. They should consider themselves very lucky to be in our top 8 after the incident involving the sale of pirated copies of our new album down at The Barras. Be careful boys. Be very careful. Continue reading "My Top 8: Frightened Rabbit"
While Jaded Insider is still waiting to pick up his copy of the game that analysts expect to set sales records Evan Merz, who runs the blog This is Not a Label, has put together a 60 minute MP3 full of indie acts such as The Libertines, Beware Fashionable Women and The Bombers. The music is meant to be listened to while playing the game, which keep in mind, already has a staggering 18 radio stations and over 200 songs. Continue reading "Playing Games: Putting Indie Rock in GTA IV"
Jaded Insider limped into Day 3 of Coachella 2008, with our feet and lower backs still reeling from 48 hours worth of desert festival hardship. But our spirits were not broken. “I’m Amazed” from the band’s upcoming LP “Evil Urges” (due June 10th) kept the heat on, with a memorable guitar riff and excellent Fender Rhodes touches from keyboardist Bo Koster. Other “Evil” tracks previewed included “Touch Me I’m Going to Scream (Part 1)," the funky, robotic “Highly Suspicious,” the Chi-Lites-quoting “Smokin from Shootin,” and current single “Touch Me I’m Going to Scream (Part 2)," which closed the show. “Wordless Chorus, ” “Anytime, and “Gideon” from 2005’s “Z” also rang out triumphantly as the sun set on the festival’s final day. With the breadth and depth of this set -- and the promise of their forthcoming fifth studio album fulfilled -- it’s safe to say that My Morning Jacket stands as one of best, if not the best band in America today. James has always been a great songwriter, but the group’s live dynamic is continuing to gel in an even more impressive fashion underneath his songs. Continue reading "Coachella Day Three: My Morning Back Pain"
Reasons To Love You: Back from a nearly decade-long hiatus in the United States, Portishead delivered a jaw-dropping set that blended earlier material with songs prepped for their much-anticipated upcoming release, "Third." Opener "Silence" and other new tracks such as "The Rip" fared well alongside the band's previous work. "Sour Times" took on an added heft in the live setting, while other "Dummy" tracks such as "Wandering Star," "Mysterons" and "Glory Box" similarly impressed, as the band layered their trademark noir-ish instrumental strokes around singer Beth Gibbons' pleading, haunted vocals. No set at Coachella has had better sound -- even the slightest sonic details were clearly audible to the sizable Main Stage crowd. These included exceptional snare drum hits, gorgeous Fender Rhodes and Moog organ trickles and discordant guitar cascades. Adrian Utley and Geoff Barrow's instrumental arrangements dazzled, as did the band's striking multi-screen visual presentation. Layering real-time black-and-white footage of the performance with manipulated graphic effects, this element added the perfect complement to the group's spooky beauty. Computer Blue: We're not quite sure exactly what was happening onstage during Kraftwerk's set, or if there were even human beings on the stage at all. But the music sounded so good we didn't care. "Autobahn" and "Computer Love" were early highlights, the latter of which we're sure had more than one listener wondering why the group was ripping off Coldplay. During "Radioactivity," animated visuals of atoms and molecules danced across the screens, while a delightful first-person point-of-view film shot on a train offered the perfect accompaniment to "Trans-Europe Express." It sounded like R2D2 was making love onstage during "The Robots," even though he may have just been checking email for software upgrades. Computerized musical notes dripped over the screens like water during closer "Music Non Stop." The Sound Of Sweating To The Oldies: Death Cab For Cutie frontman Ben Gibbard looks like he's been having a shake for breakfast, lunch and a sensible dinner. Honestly though, he looks good. Now he and Seth Cohen can share the same-sized ironic t-shirts. The Seattle-based group was mostly on-target with only a few missteps during their early-evening set on the Main Stage. New single "I Will Possess Your Heart" from their upcoming "Narrow Stairs" finally won us over once we woke up from our nap during the three-minutes-too-long intro. The band's more streamlined, melodic material fared better than their kookier, more meandering tunes from previous albums. The new record's "Long Division," as well as earlier faves "New Year," "Soul Meets Body" and "The Sound of Settling" stood out. "Why You'd Want to Live Here" proved overly peppy and less satisfying, lacking the emotional weight of the stronger material. Chris Walla added smart layers of harmonies, keyboards and guitar, despite needing desperately to unbutton his shirt's top button. It's hard to know whether to award Death Cab the Coachella High 2008 yearbook superlative for "Most Likely To Succeed" or "Most Improved." Nevertheless, the group seems to be winning over new fans with each new release for all the right reasons. Have a great summer. Don't change. Continue reading "Coachella Day Two: Rock Around The Clock"
Junkie XL was perfectly comfortable wearing a thick brown leather coat in the blazing sun yesterday at Empire Polo Field. "I would turn into a lobster," the Dutch DJ said. "So it's either that or wear the jacket." The blistering heat obviously doesn't deter the Coachella vet (he played in 2005) from returning. "What makes this festival special is that there's music, but there's also art and people love that," he said. "It reminds me a lot of the hippie festivals where people go for the experience." Indeed, Junkie XL's early-evening Sahara tent experience was one hour of him mixing pulsating rhythms that whipped the kids into a frenzy. All done, of course, in his brown leather jacket. * M.I.A. had half the Sahara tent on stage with her at one point and then said she wouldn't continue unless they turned the lights down (after she had first told them to turn up the lights). * Mark Ronson brought out the Charlatans' Tim Burgess to sing "The Only One I Know" -- no surprise there since he's done it before. Kelly Osbourne sang backup on "Stop Me," with Klaxons' Jamie Reynolds chipping in on vocals as well. * Waiting for Prince to come on, who would draw the biggest cheers in the VIP section but none other than David Hasselhoff, greeted like a king and smiling as dozens of cell phones and cameras lined his path snapping shots of him. Coachella 2008 day two was a slow starter, what with larger crowds, longer lines and significantly higher temperatures. In fact, Jaded Insider has just now gotten back to the room (3 a.m.), and it’s not because we were hitting up Prince’s after-party. The man’s two hour-plus set was hands down the apex of the day, the duration of which was rivaled only by the nearly as long logjam getting out of the polo field parking lots. Thankfully, the Am/PM across the street from the hotel had enough Combos and Funions in stock to keep us conscious enough to write this post, but a proper update will follow in a few hours. Suffice to say however that Saturday’s lineup fell far short from Friday's many pleasant surprises. Solid performances from Portishead, Death Cab For Cutie and MGMT kept the faith, but they were all dwarfed by the phenomenon that is Prince. His instrumental prowess, songwriting depth and immaculately well groomed hair and mustache were on full display before the tens of thousands of listeners assembled at the Main Stage. Surprise guests and surprise covers mixed well with extended jams on greatest hits, encompassing material from 1979’s eponymous album all the way through 2004’s "Musicology." After taking the stage with a brief introduction, Prince yielded the microphone to Morris Day and Jerome, who strutted their stuff to “The Bird” and “Jungle Love." He then introduced Sheila E. to the Coachella masses as she percussed her way through a sassy rendition of her 1984 hit “The Glamorous Life,” much to the delight of the assembled desert throng. Having effectively established his entourage, the star of the show, draped in a celestial white bedazzled tunic, proceeded to claim his stage, tearing through “1999” and “Controversy” before a re-imagined “Little Red Corvette,” complete with a sultrier intro and slower verse tempo. A medley of “Cream” and “U Got the Look” officially brought the funk to full force, while smeary covers of Radiohead’s “Creep” and the Beatles’ “Come Together” were appropriate nods to the Coachella faithful. Continue reading "Coachella Day Two: Purple Mountain Majesties"
Over at the Gobi, they converted the crowd to their "break beat poetry," with followers holding up paper fans featuring Pip's signature beard. "There's loads of half of me," Pip said looking out at the crowd before getting a shot of them with his camera. As Dan swigged beer and puffed on a cigarette behind his Mac laptop, Pip was all business, sitting authoritatively behind a desk, talking into a mic and digging through a briefcase of notes. Reading from a Bible, he paced the stage and spewed out his own commandments for their breakout song, "Thou Shalt Always Kill," switching out Brit comedian Stephen Fry in one verse and telling the crowd, "Thou Shalt Not Question Mitch Hedberg." They finished up by paying a little homage to Prince with their own version of the titillating "Cream."